We recommend that UV tubes are changed every 12 months to ensure maximum efficacy. 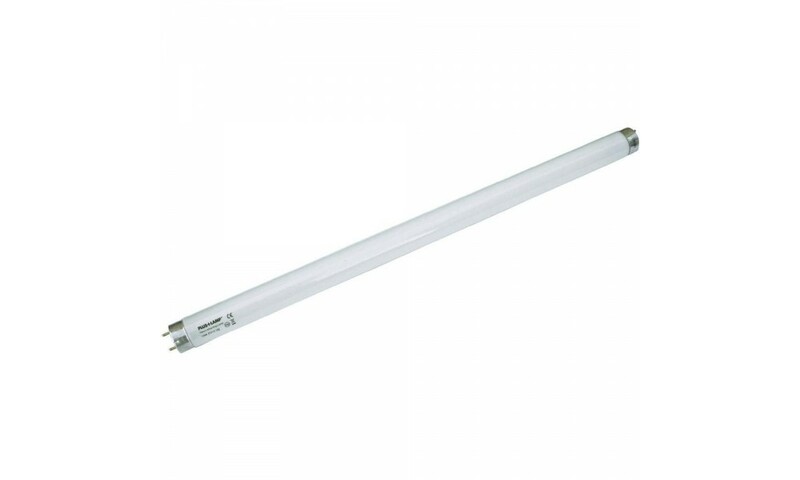 The levels of UV produced by fluorescent tubes deteriorates rapidly throughout the life of the tube. Whilst the tube will continue to glow blue or green indefinitely, after approx imately 8,000 hours the amount of useful UV (Which humans cannot see) drops to a level where it is no longer attractive to flying insect . As a result, UV tubes must be replaced annually to ensure they remain effective in producing useful levels of UV. This replacement cycle is typically under taken just before the peak insect season, to ensure the flykiller is producing the maximum amount of UV throughout the critical insect season. Offering superb value, the Plus Lamp™ range offers users a wide choice of 368nm blue UV lamps. Testing showed that the Plus Lamp™ 368nm range experienced a lower rate of deterioration than many leading brand UV tubes.